Your next tutorial in this development track is called, “Game counter”. Clicking on the each of the links below opens them up in a new window. Let’s open up the Microsoft Makecode editor for the BBC micro:bit using the following Link. This tutorial makes use of the BBC micro:bit. 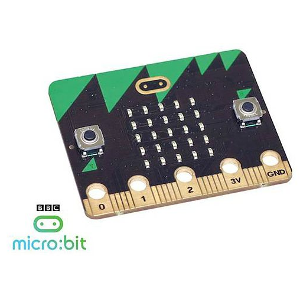 If you haven’t purchased a BBC micro:bit yet you might want to head over and pick one up now. We will be using the official BBC Makecode Block editor to write code for all our tutorials.